Meghan had a full day of festivities with the Queen starting with the opening of the new Mersey Gateway Bridge in Cheshire. Afterwards, they had a moment of silence in memory of those who lost their lives in London's Grenfell Tower fire a year ago today. After greeting fans in Cheshire, they visited the Storyhouse Theatre in Chester to open the new library and cinema and watch a danceperformance. Meghan wore a bespoke pink Givenchy dress with a high neckline and accessorized with a black Givenchy belt and bag for the day with her grandmother-in-law. 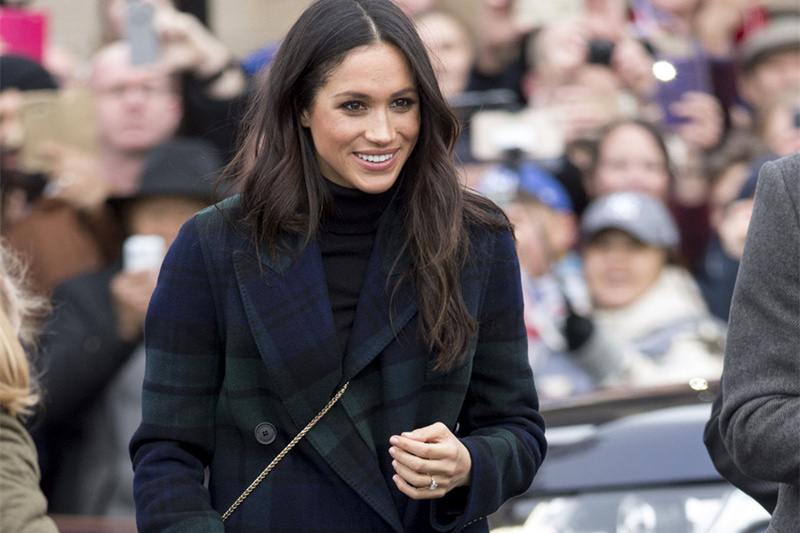 Though she may have needed some help with royal protocal (same), it's safe to say she fits in perfectly—Harry or no Harry.